Sahaj HRMS is suitable for small, mid-sized and large enterprises. It helps the management to overview the employee’s performance, automating all processes and helps them to make better decisions. It helps to attain cost effectiveness, enhanced efficiency and improved quality. Sahaj HR software helps the HR department to achieve its goals and objectives through streamlining administrative processes and leverage their tasks such as the recruitment, training, and maintenance of your workforce. 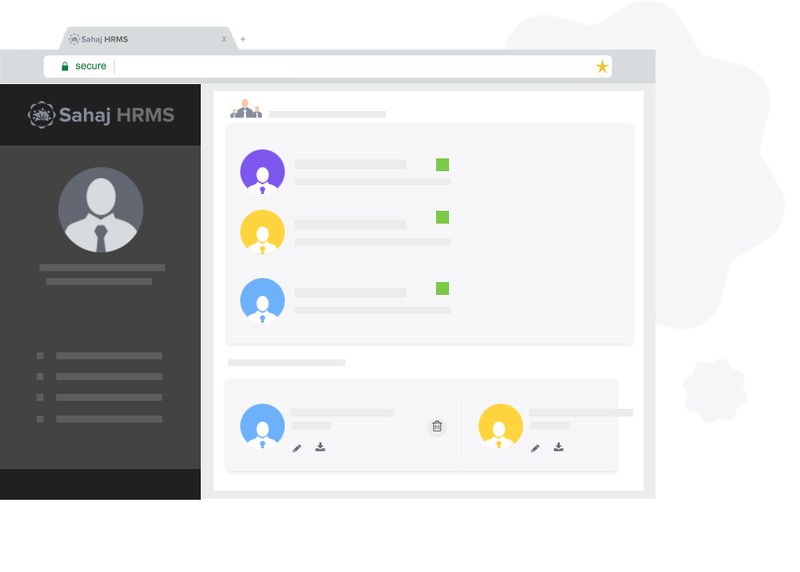 The idea to use HR software is to specialize the key areas such as administration, employee management, learning management, performance management, recruiting, talent management, training, and workforce management. Complete recruitment process including Job Description management, Request management, Resume search, interview and selection process, etc. Onboarding checklist, document and contract management, training schedules and team introductions, KRAs, etc. 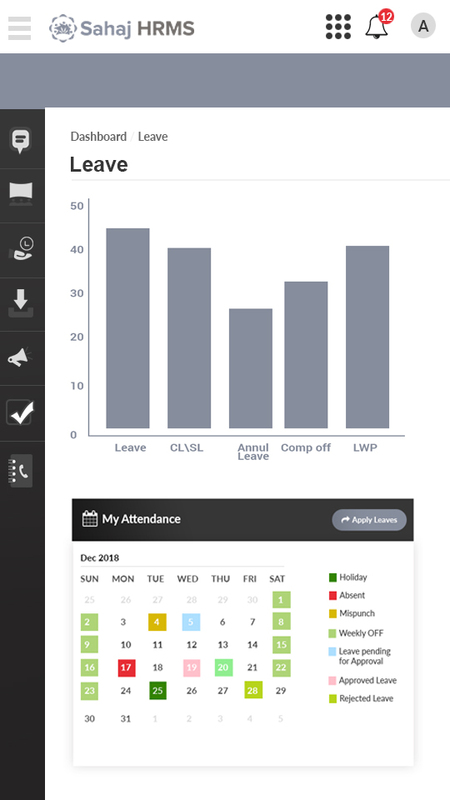 Time and attendance management using biometric and mobile applications for field staff, Leave request management and Approval workflow. It includes Travel request management and approval workflow, booking and ticket management, expense management and reimbursement request workflow. Automated Payroll processing through time and attendance management, Project wise rate wise calculations, statutory compliances, etc. ESS provides easy accessibility for salary slips, CTC and history, form 16, computation, declarations and attachments, etc. Individual goals and progress, appraisal process flow, markings and gradings, performance linked increments, etc. HR managers can schedule training, manage announcement and reminders, certification and capacity building. Users can view complete telephone directory, news and announcements, organogram, office policies, team, provide suggestions, answer surveys. This includes resignation request workflow, handovers and NOCs, Exit checklist and interviews, notifications and announcements. Sahaj HRMS is a modern Payroll processing application for multi-user environment built to process large number of records to help HR departments manage their processes in a secure environment. 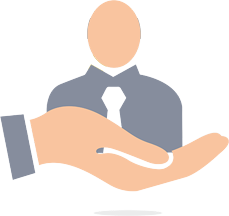 Recruitment is the critical ongoing process that defines the growth of the organization. Handling countless applications and managing their recruitment can be a time taking process. Therefore, opting for the Sahaj HRMS is a must to identify the “right person for the right job” in a shorter turnaround time. 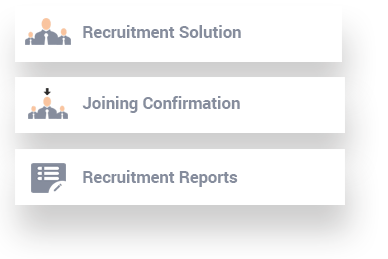 A complete recruitment solution including vacancy announement, integrations with major job portals, selection process, panels, job offer etc to hire right people. Complete Joining formalities including HR Checklist, Documentation, Skills and trainings, Teams and tasks, etc. 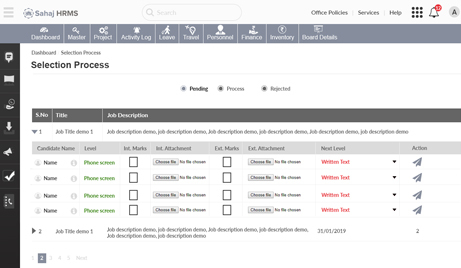 Recruitment reports includes Organisation Skill Pool, Selection Process and Stage reports, Marksheets and Training reports, custom reports, etc. 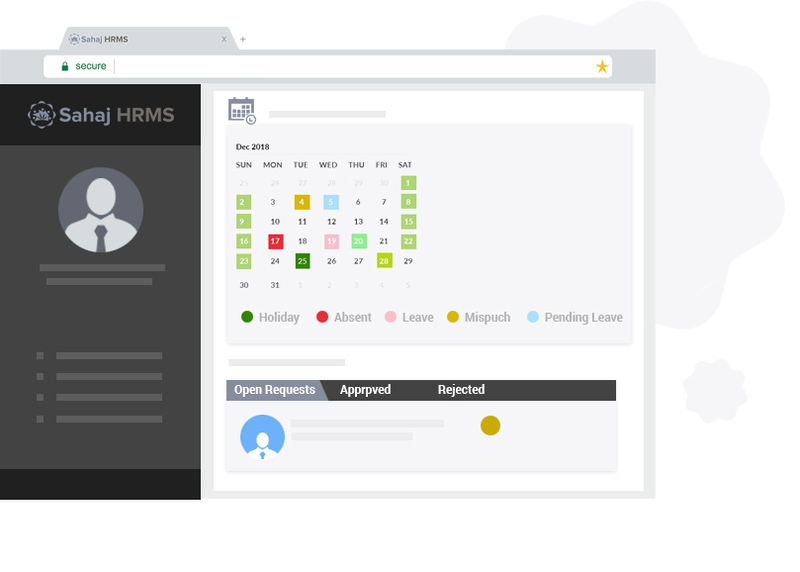 Tracking the employee’s In and Out timing along with the updated Attendance register is the common feature of the Sahaj HRMS Software. The data collected then electronically routes to the payroll application. 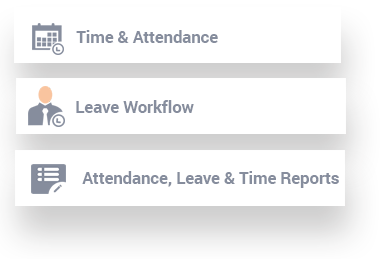 Leave workflow will track the date on which the leave request was raised, when the same was approved thus routing towards the payroll application. 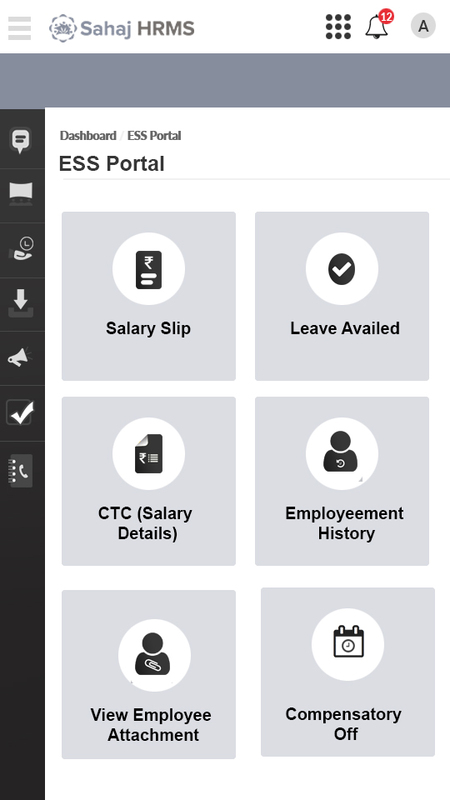 Time and attendance tracking using biometric machines and GPS using mobile apps, linked with payroll processing for salary calculation. Complete leave workflow includes leave balances, leave application and approval, overtime and comp off approval, etc. 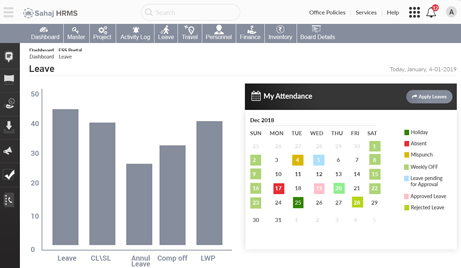 Monthly attendance reports, project time reports, leave and leave balance reports, etc. 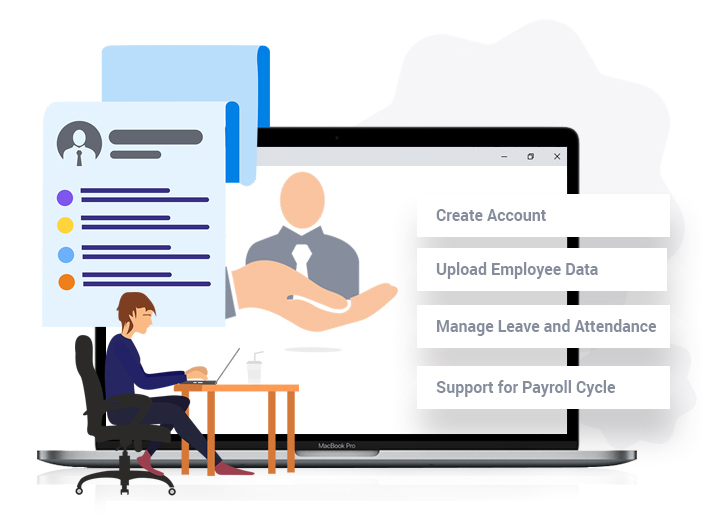 Automatic payroll processing using time and attendance records, and complete statutory compliances to support HR functions and help in proper management of payouts and records. 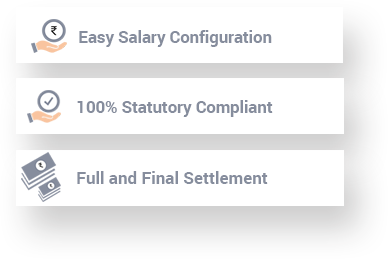 Detailed Salary component configuration, benefits administration, UDFs and complete employee detail management. Statutory compliances include Income tax, PF, ESI, Professional Tax, LWF, etc, so that HR compliances are managed efficiently and effectively. Request and approval management, Exit Checklist, Exit Interviews, Notifications and Announcement, etc.